Lower respiratory tract infections, Upper respiratory tract infections, Urinary tract infections including gonorrhea, cystitis, Skin & soft tissue infections, Gynecological infections, Acute otitis media, Childhood infections. Over 9 years: 100 mg every 12 hours. 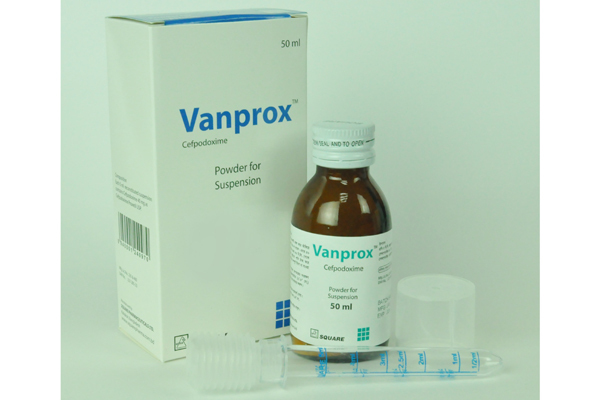 Vanprox® suspension: Bottle containing dry powder to reconstitute 50 ml suspension. 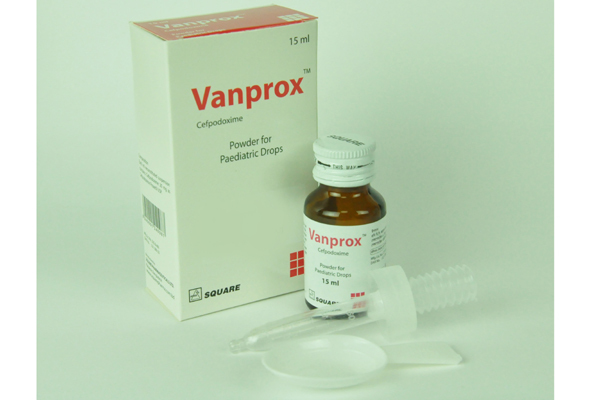 Vanprox® Paediatric Drops: Bottle containing powder to reconstitute 15 ml suspension.